Support text free driving AND look cool at the same time. Celebrities everywhere are standing up to support text free driving and wearing their TEXTING KILLS thumb bands to show their support. Now it's your turn! Grab your thumb bands while they last! We want to spread the word across the nation and have special pricing for people who want to help! 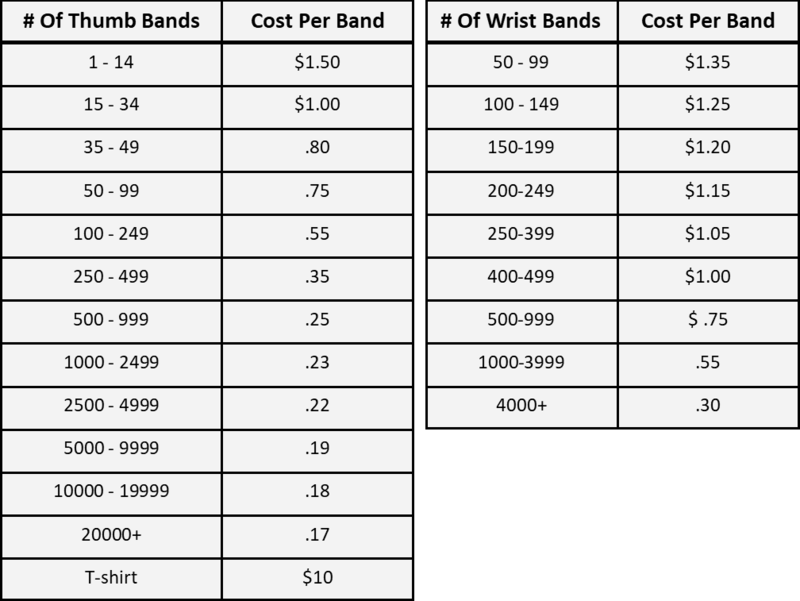 If you want to use texting thumb bands or wristbands at your school, work or any where in your community in larger quantities, we've got special pricing just for you! The prices below are for all types of thumb bands and wristbands. You can mix and match however you like for the bulk discounts! The prices are good for any of the bands - red, blue, purple, green, pink, white, yellow, orange and black, JST DRV and DNT TXT N DRV. 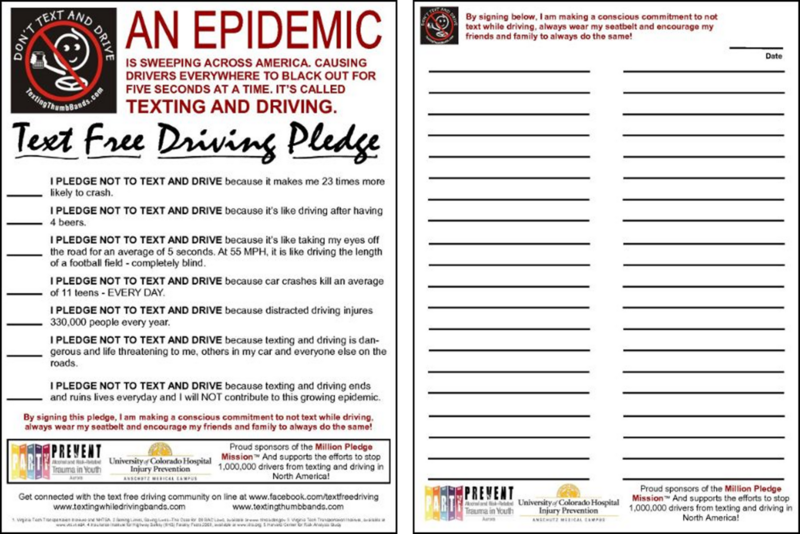 We also have some great material we can share with you including our text free driving pledge WITH places for multiple people to sign. 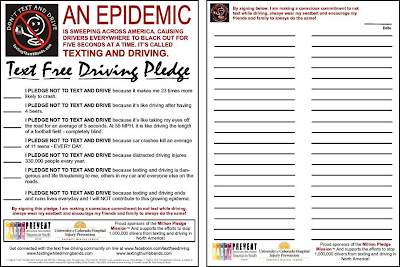 We can even put your logo on the pledge! and we can get you some great ideas to use in your text free driving campaigns! Let us know how we can help! ORDER YOUR THUMB BANDS NOW!